Villiers’ brand new feature bringing you our expert venue finders favourite restaurants in London and across the UK and, have we got a good one for you! Caprice Holding’s Scott’s restaurant offers the best champagne and seafood for miles. Classic, stylish and located in the beating heart of London, Mayfair. 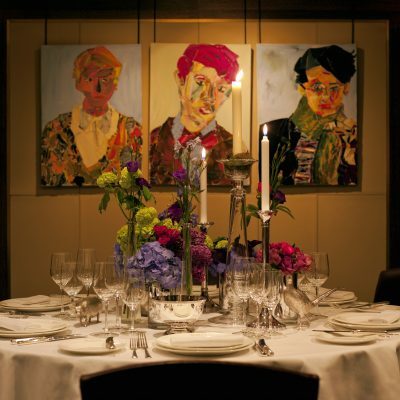 Get in touch for Villiers’ venue finding service bringing you the best of private dining in London. 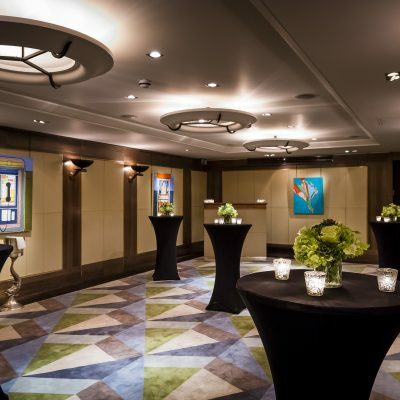 Find out more on Villiers’ venue finding and private dining. Scott’s is one of Caprice’s most established and praised restaurants, recently having undergone a multi-million pound refurbishment. Subtle nods to the seafood is noticed around the glittering restaurant, such as the spectacular fish-scale mosaic. Look around the restaurants and you’re sure to see one of the star-studded elite that frequent it. Championing Mount Street in Mayfair, sit outside and look out over the busy London streets. Scott’s address: 20 Mount St, Mayfair, London W1K 2HE. Scott’s has been the go to restaurant in London for over 150 years and with the quickly changing nature of London’s restaurant scene, that is no easy feat. It’s a space as beautiful as the people who attend it, it’s a sophisticated and stylish space that stirs up an excited buzz of energy come Saturday evening. And despite the range of high-end diners, Scott’s maintains a welcoming, inviting nature that will make everyone feel at home. The lively ambience can’t help but draw you in. On to the cuisine, Scott’s is perhaps most famous for its exquisite seafood cuisine. Whether it’s the wealth of caviar, potted shrimp or classic smoked salmon. However, if seafood is not to your liking, Scott’s also masters a variety of other dishes, such as a rib steak and their tantalising apple pie lathered in fresh cream. Sip from the finest champagne at their stunning champagne bar or select from Scott’s carefully curated wine list. How does the private dining room work? The main restaurants rich fabrics, cream, golds and browns are continued into their intimate private dining room but with an Art Deco style. Filled with contemporary art curated by the Timothy Taylor Gallery and Sadie Coles HQ. The private dining room can seat 12 to 40 people for a delicious lunch or elegant dinner, the space can be used for standing receptions of 30 to 50 people. With access to fast WiFi, plasma screens and audio playback. Head chef David McCarthy creates spectacular menus for the private dining, each using locally sourced ingredients. Menus start around £58 per person or you and your guests can enjoy their exceptional tasting menus from £110 per person. Scott’s isn’t cheap, reservations are few and far between – but that’s why you have Villiers. Our Venue Finding team are experts in finding the perfect spaces for your occasion at the date and time you request. Our free venue finding service even negotiates on price so that you get the best deal possible. Speak to Villiers’ Venue Finding team today to find out more.